Talk about a no-brainer! You have your patient’s birth date. And it’s the other time each year that a patient is most likely to think about his or her health. 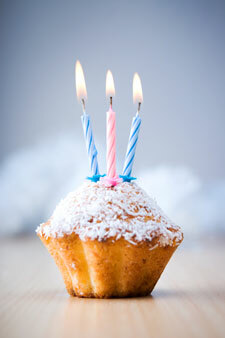 Be sure to remind active and inactive patients of chiropractic care on their birthday. This is especially true as we age. As the number of birthday cards we get diminish each year as we grow older, the birthday card reminder you send can have an extraordinarily high impact. It’s a small thing. So small, many overlook its incredible power and what it says about them. Your business card is a surrogate for the quality of care you deliver and creates the first (and maybe last!) impression to a prospective patient. The look, design and feel of your card speaks volumes about you. Avoid the temptation of designing it yourself. Like the lawyer who hires himself and has a fool for a client, you’re not a designer. Find a graphic design company in your area that does this sort of thing. Because we live in a visual culture, trust a project this important to a professional. Is your brochure rack merely a wall decoration? 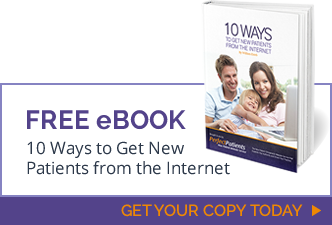 Are you waiting for patients to take them? A bit self-conscious handing them out? You’re not alone. Rethink your brochure rack. You’re sitting on a gold mine. Turns out, there are a sizable number of chiropractors who believe that handing out brochures to patients is self-serving, egotistical, unprofessional or a desperate act of someone who can’t deliver the goods. So he or she must resort to pandering and cheap promotional schemes to get new patients. Not true. Brochures are inexpensive chiropractic marketing devices that explain chiropractic better than even your best patient can. But don’t let them sit in your Plexiglas display case. Create a plan to hand some out every day.